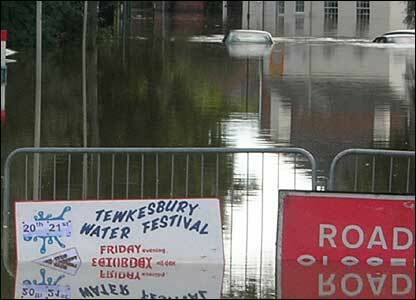 David Hughes sent this picture of a banner advertising the Tewkesbury Water Festival, near the town centre. 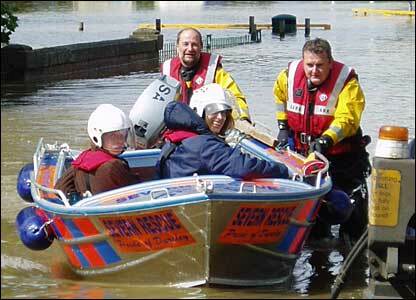 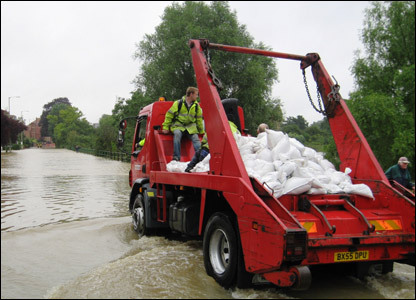 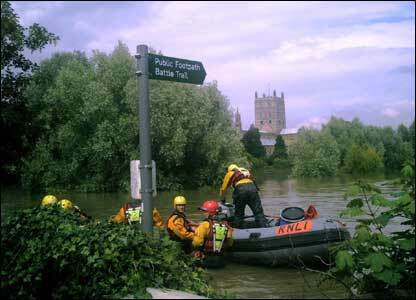 Richard Evans sent this picture of a rescue boat just south of Tewkesbury Abbey. 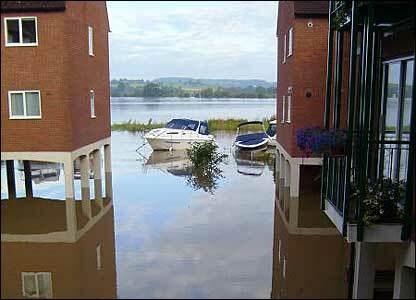 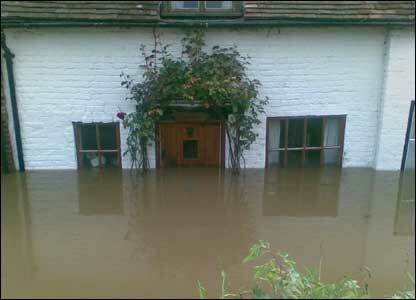 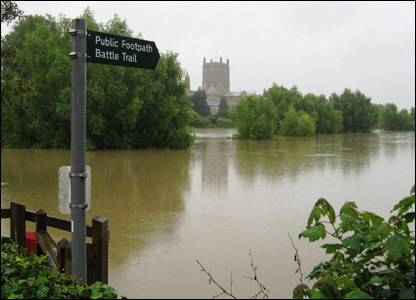 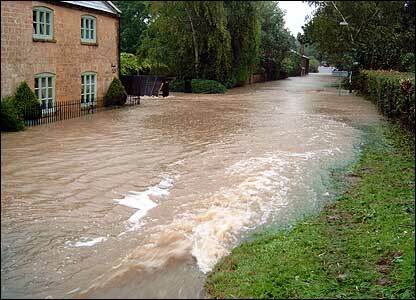 Lesley O'Brien took this picture in Tewkesbury. 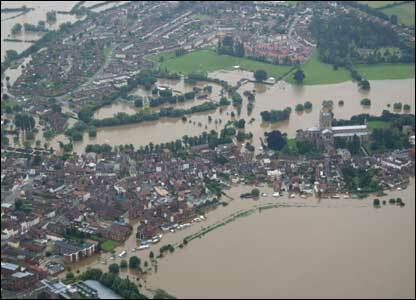 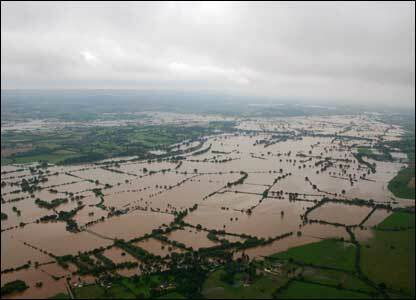 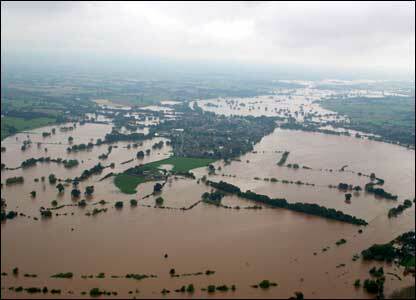 Cotswold Aero Club took this picture of Tewkesbury - you can see the abbey to the right of the image. 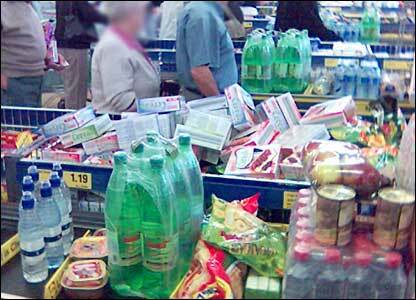 At one supermarket in Bishops Cleeve people had cleared the shelves of bottled water, picture David Bailey. 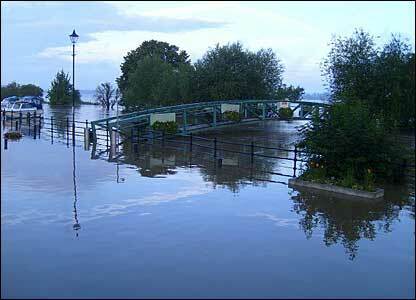 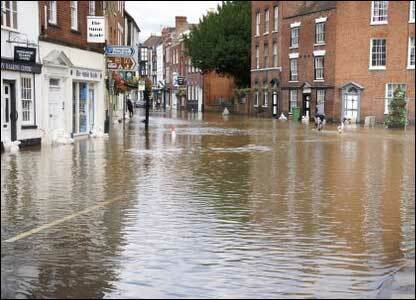 John took this picture of Tewkesbury early on Sunday morning. 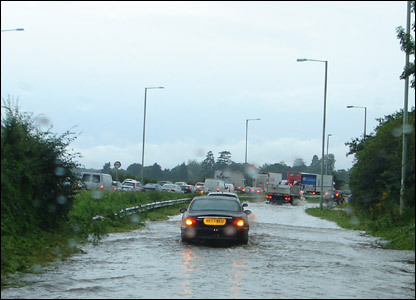 Steve Moul's journey home through Gloucestershire on the A40 took seven hours instead of two. 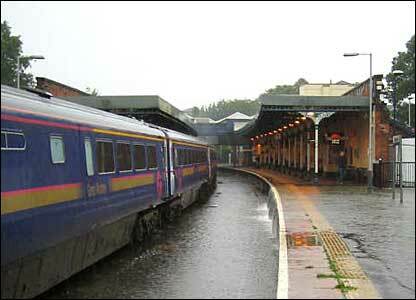 Tim Andrews took this picture at Cheltenham railway station as he tried to get home on Friday. 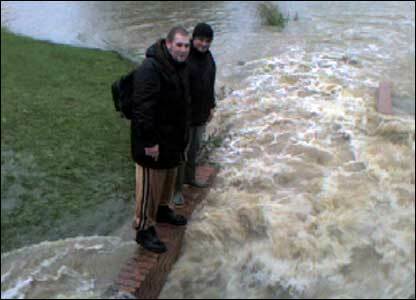 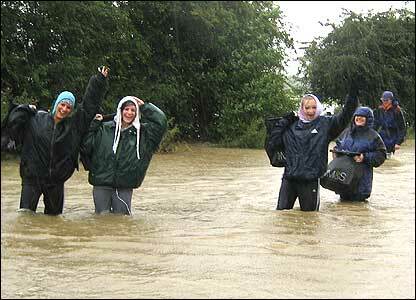 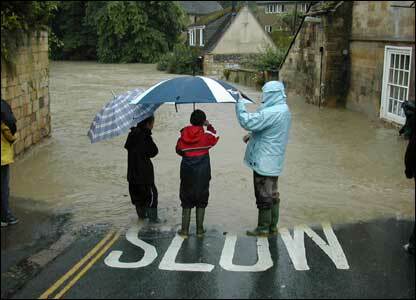 Some made the best of their walk home in Bishops Cleeve. 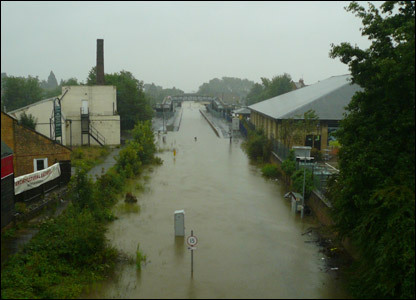 Pic Simon Hodgson.